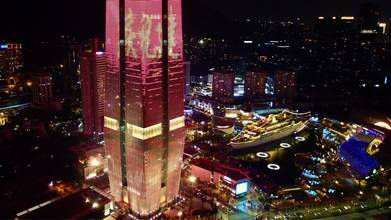 China's Guangdong Province has been the epicenter of China's spectacular economic rise. Situated in the southeastern part of the country, it's now home to the most people of any Chinese province, and the population swells by tens of millions each year due to migrant employees. It is closely connected to Hong Kong, which it effectively surrounds, and which has served to connect China to the outside world. Droneland gives us an amazing aerial look at this dynamic province. Description: Shekou is an area at the southern tip of Nanshan, Shenzhen, Guangdong Province, China. It faces Yuen Long, Hong Kong across the Shenzhen Bay. It has been designated a Free Trade Zone by the government, alongside Qianhai, Hengqin and Nansha.